The family of a woman are currently mourning her loss following her unfortunate death allegedly as a result of domestic abuse. A mother of five has been buried after her tragic demise following serious batterings by her husband. 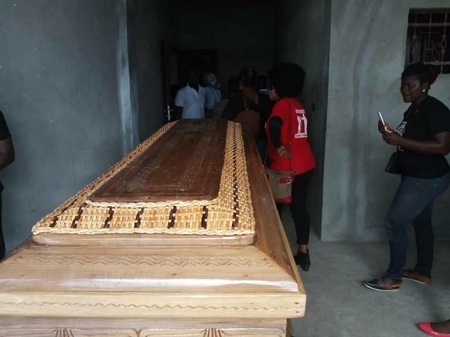 According to reports, the woman identified as Harriet Atanga was beaten mercilessly by her own husband and was rushed to the hospital where she gave up the ghost on Thursday, June 7th. It was gathered that the woman had allegedly disclosed to those close to her that the only reason she was staying in the abusive marriage was because of her children. The sad incident happened in Mile Four, Limbe, Cameroon. 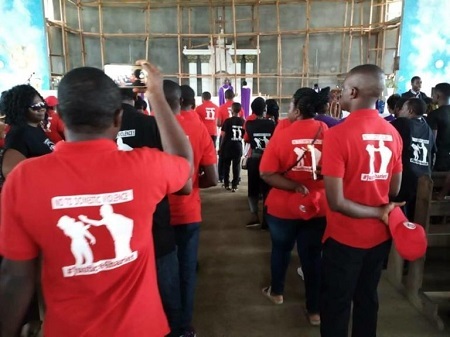 She was laid to rest on Friday, June 8th as family and friends wore #StopDomesticViolence outfits to her burial.